'Prem is back' was the mantra of Sooraj Barjatya to attract people to the screens and it did work well for him. Prem was well received by Indian audiences worldwide. Breaking all box office records, Prem Ratan Dhan Payo was a great treat for Diwali to all Salman Khan fans. As reported by The Courier Daily, Prem Ratan Dhan Payo's worldwide collection came up to Rs 432 crore till the fifth Wednesday of its release. This film managed to melt everyone's hearts and also get some huge return on its big investment. Indeed Suraj and Salman's reunion worked well. Another blockbuster film to sway his fans was Kabir Khan's emotionally correct film of Bajrangi Bhaijaan. Narrating the story of a lost and mute girl who wants to find her way back home, Bajrangbali fan 'Prem' essayed by Salman Khan managed to impress everyone. The movie proved to be the biggest blockbuster for Salman, raking in Rs 626 crores worldwide (including Rs 433 crore in India itself). In fact, Bajrangi Bhaijaan simply took just 9 days to earn around Rs 200 crore from its domestic box office run. This movie just stole the show! Drama - check. Visual treat - check. Grandeur - check. The movie had everything in it which made it to the list of most entertaining Hindi movies of 2015. July's two of the biggest releases - namely Bajrangi Bhaijaan and SS Rajamouli's Baahubali received a great responses from all the movie buffs. 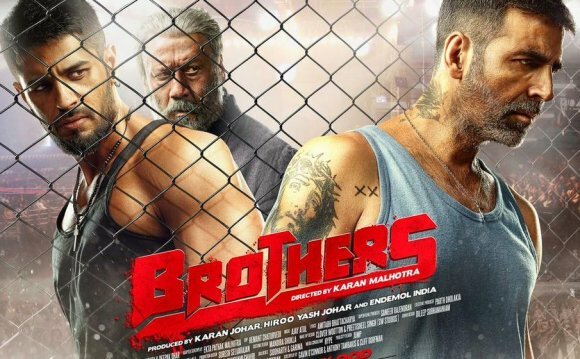 Scriptwriter K Vijendar Prasad's second film after Bajrangi Bhaijaan, Baahubali had a good turnover of Rs 580 crore, coming very close to Bajrangi Bhaijaan's Rs 600 crore bracket. The original Telugu cinema, managed to do very well, thanks to the witty distribution by Karan Johar's Dharma Productions and clever filmmaking, of course. Who can stop a born winner from winning? Such has become the case with the lady Aamir Khan of Bollywood - Kangana Ranaut. The sequel of Tanu weds Manu saw a great response from theaudience. The movie‘s total collections at the domestic box office stood at Rs 141.79 crores. Having made 357% profit so far, it has made a record of raking the highest profit percentage of any film in 2015. The film managed to overwhelm the general masses unanimously. The formula of Varun Dhawan shaking a leg with hottie Shraddha Kapoor which was planned by Remo D'Souza could have never gone wrong. The film managed to collect Rs 0.55 crore and Rs 0.50 crore by the 20th day and 21st day at box office. The extreme total box office collection of ABCD 2 at the end of 3rd week is Rs 104.35 crore. The film performed a box office business of Rs 16.51 crore in the overseas market which added the total worldwide collection of movie to Rs 120.81 crore. Thus, the movie was equally considered a super-hit.